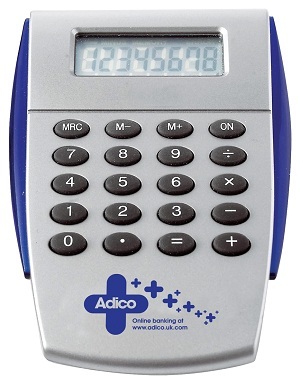 Budget Calculator - Express Corporate - Promotional Products - Delivered Fast! A cost-effective budget calculator with a large branding area for your logo. Button cell battery included.